Some 3,000 people attended Domo’s recent customer event, called Domopalooza. That’s nearly double the attendance of the previous event, which my colleague Mark Smith covered. Formerly a bit “stealthy,” Domo has started sharing more information, some of which I’ll pass along, as well as observations about product announcements made at the event. 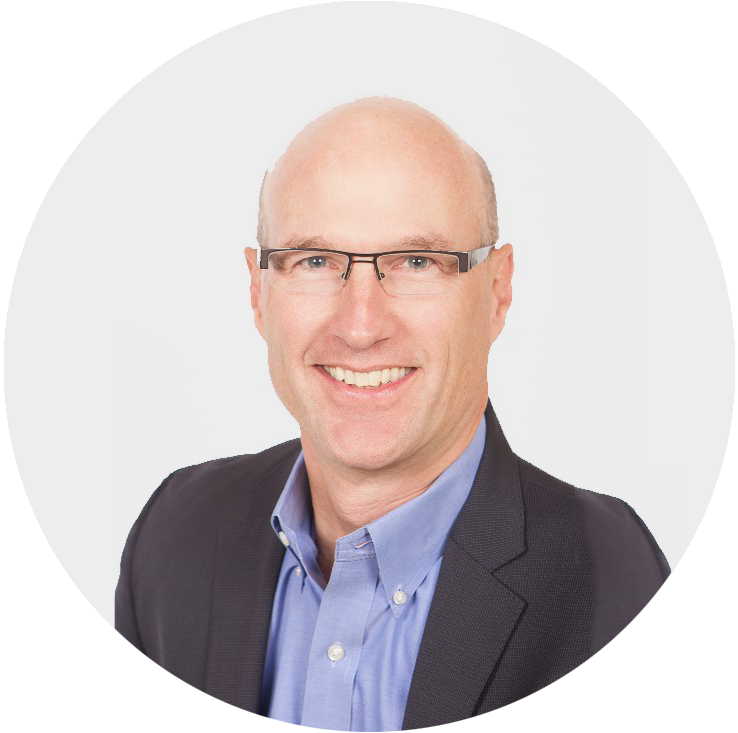 As Mark Smith observed, Domo is not a typical business intelligence (BI) company. In fact, the company refers to its product as the Domo Business Cloud (notice the lack of ”business intelligence” in the name). I think the name accurately reflects its attempt to speak to a broad group of users in the lines of business and executives who are not “analysts.” If the increase in attendance at the event is any indication, the approach is resonating with users. The company also shared some numbers about the size of the business that suggests it is experiencing success with this approach. President and co-founder Chris Harrington claimed that the company is operating at a $120 million run rate and has more than 1,000 customers and more than 800 employees. At the event, Domo made several product announcements and also previewed some new features that are under development. Domo has extended the collaboration capabilities of Business Cloud with annotations that can be used to highlight information on tables and charts. It also enhanced its alerting capabilities with more personalization of alerts and an alert center that applies machine learning to display clusters of activity indicating where the most attention and discussion is occurring across the organization. The Analyzer portion of Business Cloud, which allows users to select specific views of data, has been updated with period-to-period comparisons, data slicing or filtering and 60 new types of charts. Analyzer also provides new visualization of data lineage, showing how the data was collected and transformed before being presented. Keeping with its focus on enabling business users, Domo announced a set of prebuilt content called Business-in-a-Box that has dashboards for various business functions to make it easier and quicker to get value out of an organization’s data. Also, as with other vendors, the company has made it easier to embed Domo capabilities into other applications and websites with features called Domo Everywhere. Domo also introduced a new artificial intelligence and machine learning feature called Mr. Roboto. It seems to be the rage among cloud software vendors to personify their AI capabilities, but I can understand why. Artificial intelligence and machine learning concepts are difficult for end users to master and have long had a vaguely threatening aura. 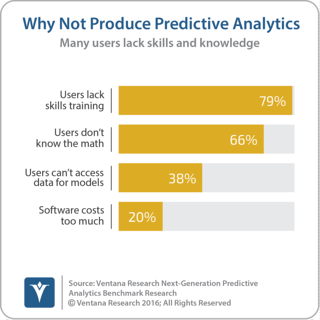 Our next-generation predictive analytics benchmark research shows that users lack skills and don’t understand the math involved in these types of advanced analytics. If they can be packaged and delivered in prebuilt routines, it will make it much easier to for organizations to use them. I was surprised by the number of people from large enterprises in attendance at Domopalooza. I had been under the impression, right or wrong, that Domo was used primarily in smaller organizations or departments. Perhaps to counteract this impression, Domo featured several large organizations, including Target and GE, on its main stage. Ben Schein, director of business intelligence and analytics at Target, described how the company processes 300 to 400 million rows of data a day and on Black Friday processed 7 billion rows. Further bolstering the company’s push into the enterprise Domo CEO Josh James boasted that more than more than 25 petabytes of data have been uploaded to Domo and the data managed in Domo surpasses 100 trillion rows. CTO Daren Thayne gave an architectural “deep dive” for the analysts, describing Domo’s parallel processing and elasticity for scalability and high performance with in-memory processing. By many measures Domo has created an impressive product offering that is used by passionate customers. 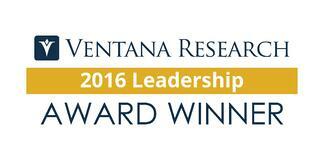 One of the customers, Jefferson Health, and Neil Gomes, its vice president for technology innovation and customer experience, we named the winner of Ventana Research’s 2016 Business Technology Leadership Award in Overall Business Leadership. However, one of the challenges going forward will be whether Domo can continue to appeal to the lines of business as it has so far. Some of the new features being introduced, such as the data slicing and chart capabilities, have been found in other BI products for years. Also these fuller-featured products are more difficult for business users to deploy. Domo will need to deliver a more richly featured product set without creating complexity that frustrates those users. Domo knows how to throw a good party. At Domopalooza multiple headliner musical acts performed, there were after-hours parties, and attendees could enjoy a day of skiing, but the thing that Domo has done better than other BI vendors is to bring analytics to nonanalysts. If your organization is looking to expand analytics and BI usage among the lines of business I recommend you consider Domo. Follow Me on Twitter @dmenningerVR and Connect with me on LinkedIn.